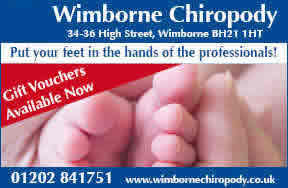 Alison Heaton FSSCh Dip Pod Med MBCHA qualified in 1990 and joined Wimborne Chiropody in 1998. In 2011 Alison took over the surgery as its new owner and has continued to provide an excellent service for the residents of Wimborne and the surrounding areas. 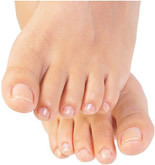 Currently,working with Alison, are three fully qualified podiatrists. Fiona Cann BSc (Hons) Pod MChS also qualified at Southampton University. She has a special interest in diabetes. Lorraine Maoudis D.PoD.M.Mchs.SRch qualified in 1992 in Birmingham. She has a special interest in dermatology and also in diabetes. Hollie O'Neill BSc (Hons) Podiatry qualified at Plymouth University. Her special interest is diabetic footcare and Biomechanics.